While department stores are seeing a steady decline, the beauty industry is in the midst of a boom. 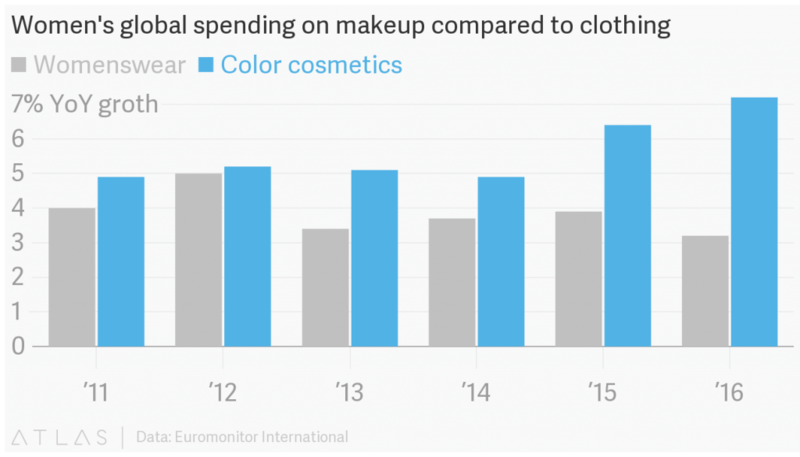 Spending on makeup and personal care is growing more quickly globally through social media, digital marketing and technology. “Social media is shaping consumer behavior. Scrolling through Instagram, the pictures and videos bring things to life in a way that’s super absorbable. [Consumers] go to Instagram for beauty inspiration and to learn how to wear this or do that. 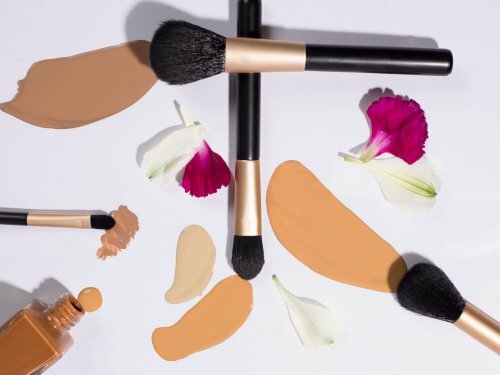 They relate in a really visual way, and they are getting a sense of urgency,” said Shelley Haus, vice president of brand marketing at Ulta Beauty. In the beauty retail realm, Sephora and ULTA reign as queen cosmetic retailers. 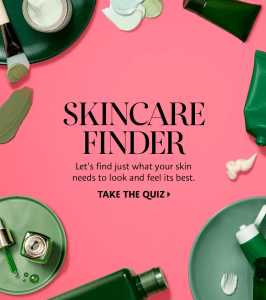 Both Sephora and ULTA shine in selection, services and in-store experience, and both reward devotees with free products, rewards and other perks. Below is a breakdown of what both retailers are doing to be successful powerhouses in the beauty sphere! Sephora: It may be obvious, but Sephora didn’t become one of the best beauty retailers without good reason. Inside the store, get yourself a makeover with one of the artists and take the products home with you, sign up for the VIB program to earn points for each dollar spent (which turn into product rewards) and online enjoy three free samples of your choice with each purchase. It’s really a one stop shop for beauty. 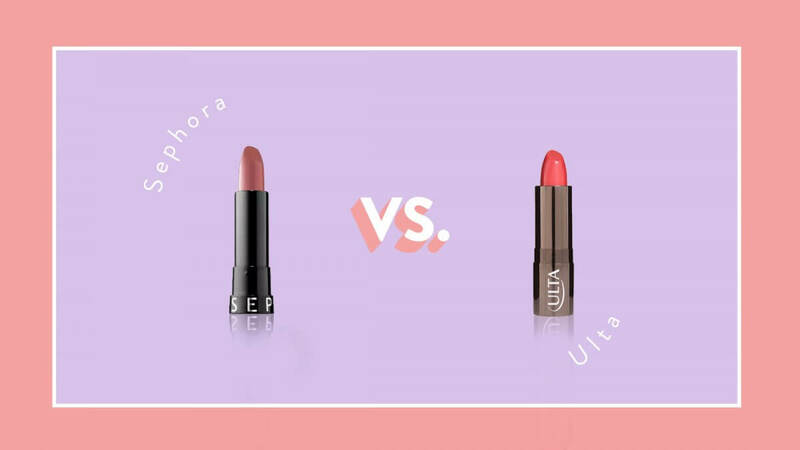 ULTA: When you need a professional-grade beauty product (whether it be hair, makeup or skincare related), you’d be hard-pressed not to find it at ULTA. 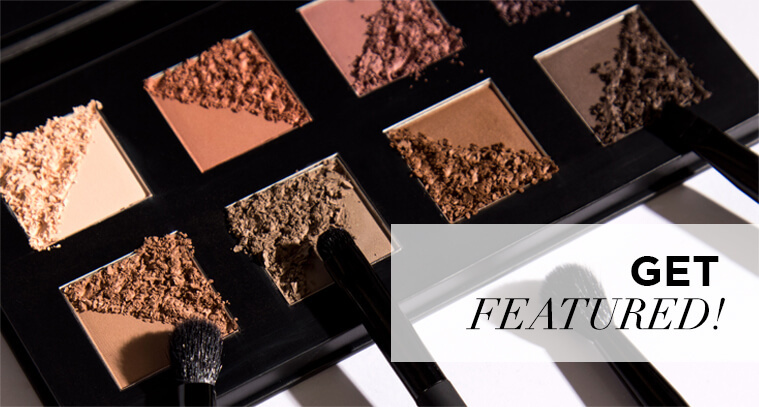 With both drugstore items and prestige products at affordable prices, ULTA has easily made a name for itself. 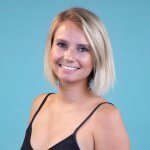 Sephora: Sephora’s current marketing strategy is focusing on a combination of their online and in-store experiences and promoting brand engagement through social, mobile and web platforms. 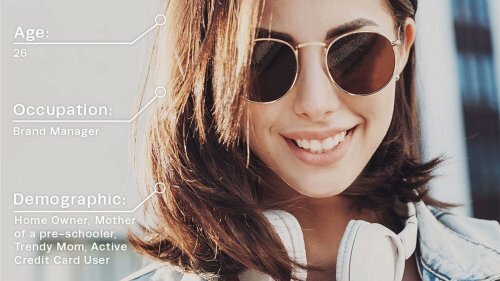 Through market research, Sephora discovered that their customers use their personal smartphones when shopping at the brick-and-mortar locations. 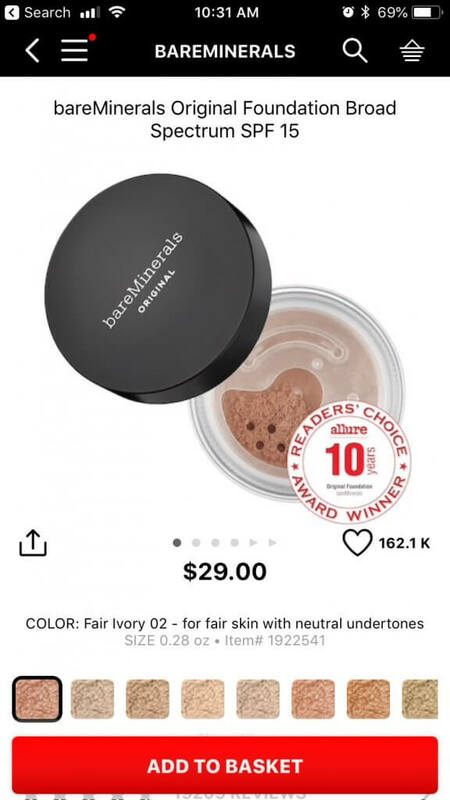 The retailer took this information and developed the Sephora to Go mobile app, which provides consumers with a mobile experience catered to their needs. 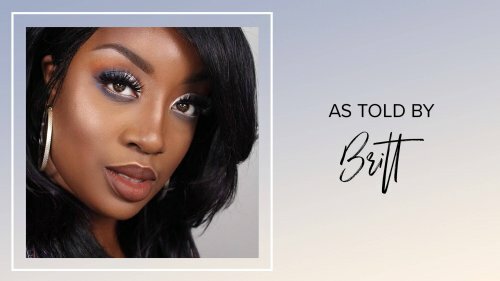 Another strategy Sephora utilizes is through product reviews. Sephora analyzed their customer feedback and product reviews and realized that a common pain-point for their consumer was purchasing a product that wasn’t the right fit for them and cause unwanted frustrations. 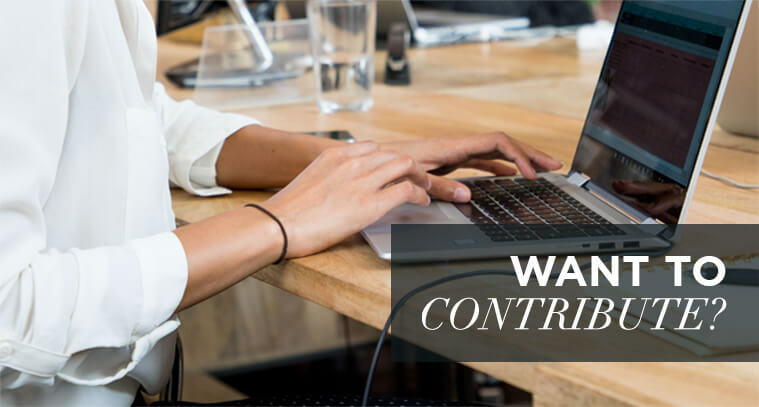 To help solve this problem, Sephora created a variety of online content to help educate shoppers to make better purchasing decisions. ULTA: ULTA is the only beauty retailer that delivers products across all price points, bringing together prestige and general brand names. Using the data collected from its loyalty program, ULTA offers insights to its brand partners. Dave Kimbell, ULTA’s chief merchandising and marketing officer, says he can educate these brands on what strategy worked best. For example, which email performed best, how customers interact and respond to mobile messaging, and what products are doing well or not selling. 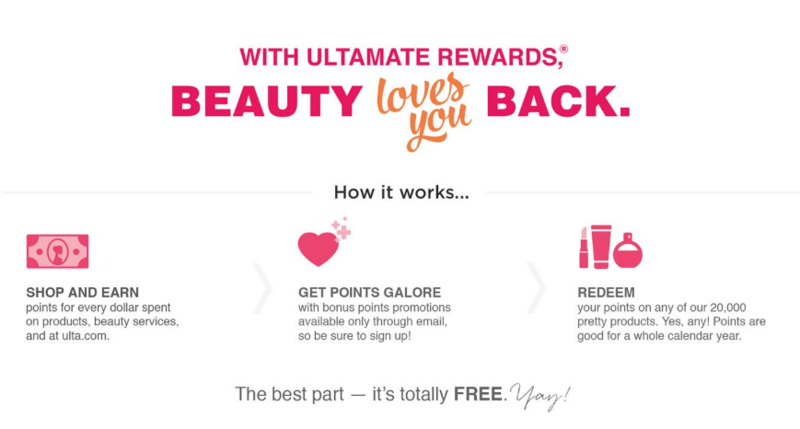 Another big part of ULTA’s growth strategy is focusing on Ultamate Rewards, its loyalty program. This program has over 23 million active members. Engagement: Ultamate Rewards is easy to use. With every purchase, members earn points that can be used as cash. And there are no blackout date restrictions limiting customers. 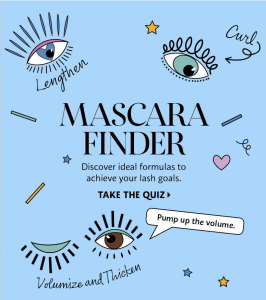 Content: Ulta sends Ultamate Rewards members magazines filled with new products, usage tips and beauty trends. Perks: Loyalty members get special perks like birthday gifts, event invitations and early access to new product launches. Sephora: Sephora’s inventory includes makeup, skincare, fragrance, hair care and tools from indie, classic, up-and-coming luxury manufactories. Sephora also peddles its own house line, Sephora Collection, which includes high-quality products at more modest price points than many of its high-end brands. 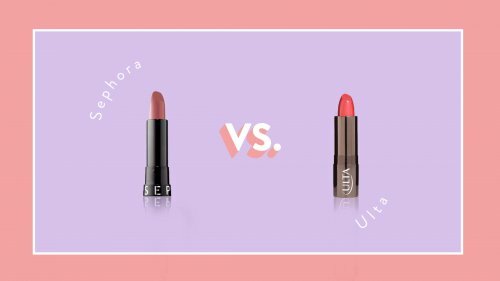 ULTA: While Sephora focuses on luxury brands, ULTA embraces both the upscale and the affordable. Their brands range from high-end, such as MAC Cosmetics and Clinique, to drugstore brands such as Maybelline and Neutrogena. 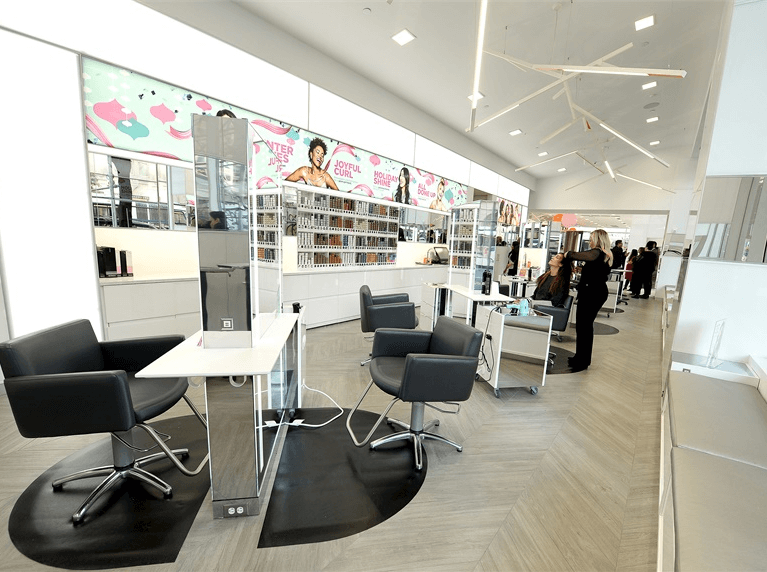 Additionally, as ULTA has an on-site salon, the retailer can offer hair care from salon-exclusive manufacturers such as Matrix and Redken. ULTA also offers its own product line, which includes makeup, skincare and bath and body products. 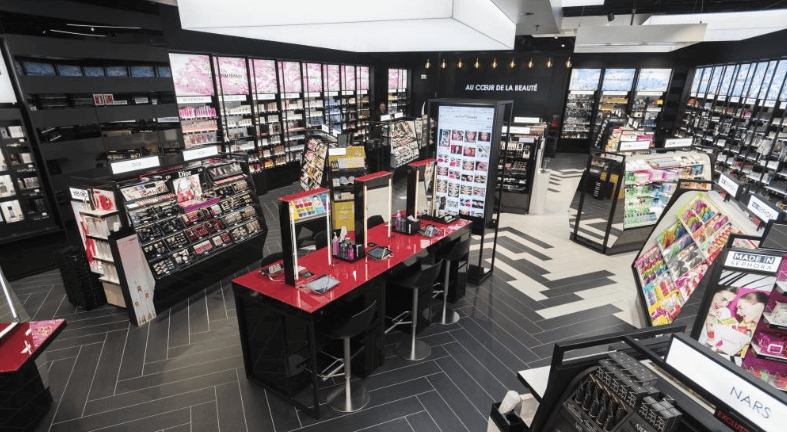 Sephora: Sephora made a huge splash in the beauty world by moving makeup from behind the counter onto the floor for customers to try. Sephora is also staffed with ‘beauty advisors’ that offer guidance to consumers on what products will work best for them. Sampling is a big part of Sephora’s business model; all stores give shoppers the opportunity to try products before making a purchase. Sephora also offers custom makeovers and group classes. Last year, Sephora implemented the “New Sephora Experience,” introducing advanced tech to select stores to help make shopping more intuitive and engaged. New ‘Beauty Hub’ features include a digital workstation where consumers can watch video tutorials and touch-screen kiosks that help shoppers find the right match for concealer, foundation, lipstick and skincare treatments. 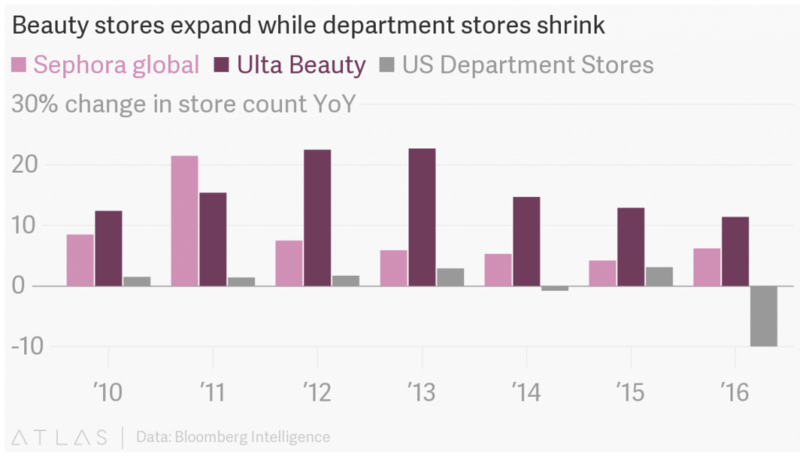 ULTA: One of ULTA’s main focuses over the last few years has been on improving the customer experience. 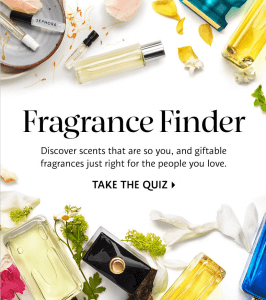 It entices shoppers with free samples for both high-end and drugstore brands, and invites shoppers to play with its hairdryers and electronic beauty tools. While shopping, customers can use the ULTA app to read reviews, receive suggestions and add products to their favorites list. ULTA sets itself apart with its full-service, in-store salons. ULTA salons offer a comprehensive range of hair, makeup, nails and brow services, plus skin treatments from Dermalogica. 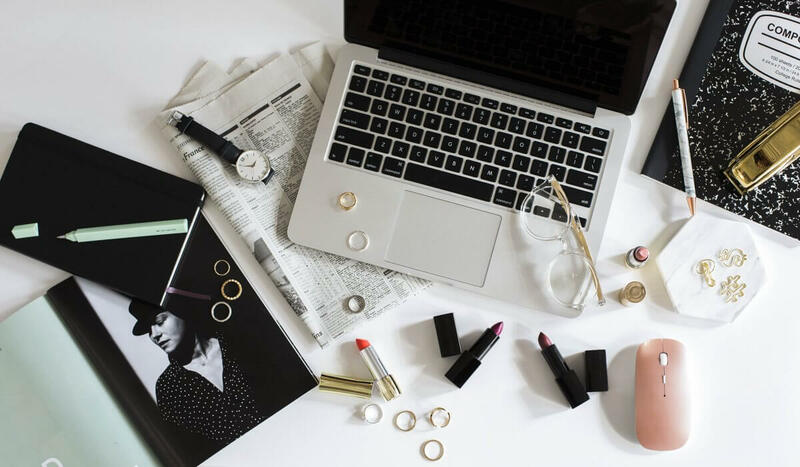 The beauty world is ever-changing and it is crucial for retailers and brands to constantly stay proactive and innovative. Sephora and ULTA are succeeding in this through consumer research, technology and by adding valuable and engaging elements to their in-store experiences. 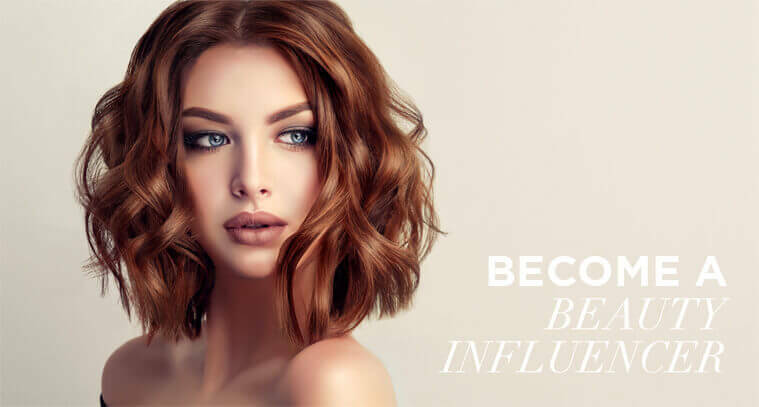 For information and example on how beauty brands stay successful through multi-channel digital strategy visit here! Tell us in the comments below which retailer is your go-to for all things beauty!